When the subject turns to World Hockey Champions, there aren’t too many Canadian communities that can top the City of Trail. 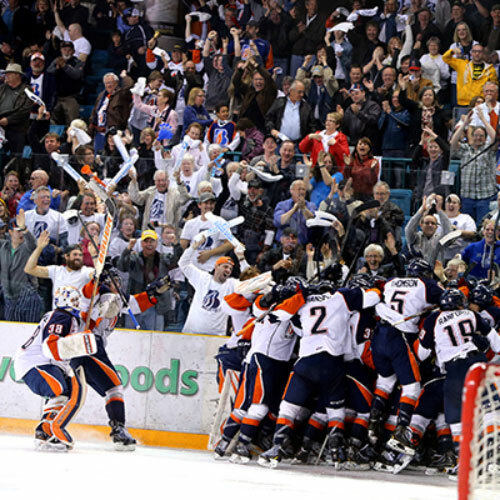 The West Kootenay city boasts two World Champions, as both the 1939 and 1961 Trail Smoke Eaters returned victorious from the World Ice Hockey Championships. 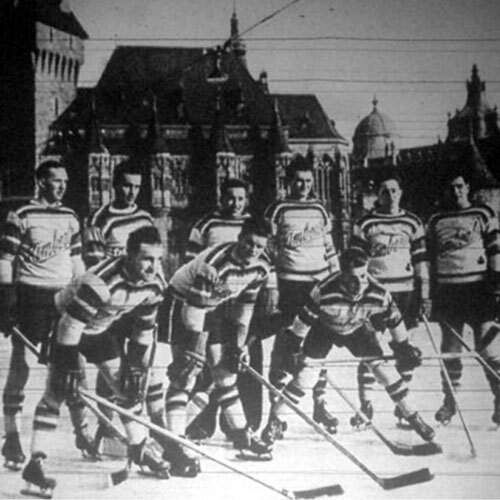 The first victory came in Switzerland in 1939 – the last world championship tournament to be played before the outbreak of the Second World War. The 1939 Smokies rolled through the eight-game tournament without a loss, in fact they only gave up one goal in the eight games! 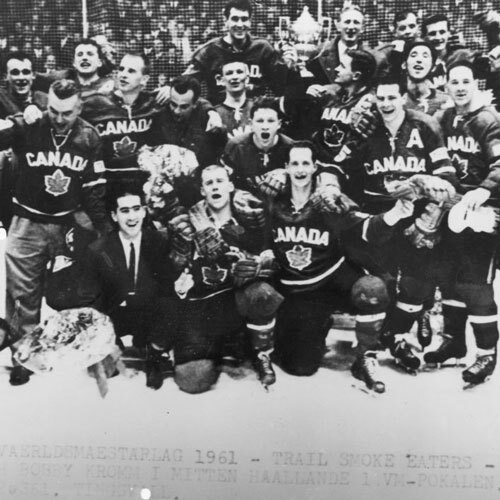 The Trail Smoke Eaters returned to the world stage in 1961, as they returned to Switzerland. At that tournament, the Smoke Eaters went into their final game tied with the Czechs in the standings. Because the two teams had identical records, and there was no championship game to decide the overall winner, the outcome would be decided by a goal differential. The Smokies not only had to beat the Soviet Union in their last game, but they had to win by at least four goals. 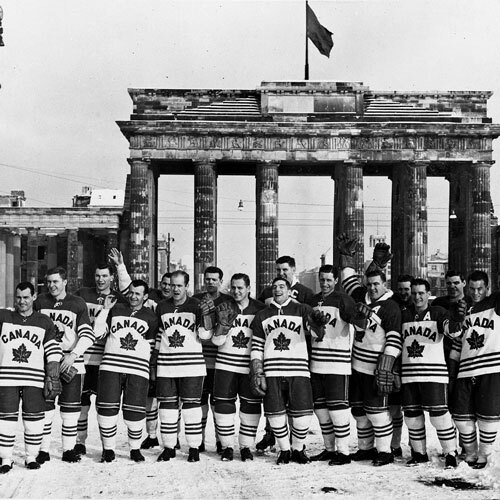 Leading 4-1 in the third period, Norm Lenardon intercepted a clearing attempt by the Soviet’s Nikolai Sologubov inside the Russian zone. Off-balance, Lenardon rifled the puck into the net for a 5-1 win, and the World Championship! The 1961 Smokies were led by playing coach Bobby Kromm, who went onto coach in the NHL with the Detroit Red Wings.